Sekhmet is the lioness goddess of the Egyptian Pantheon, a fierce protector of truth, balance, and the Cosmic order of Ma’at. Known and feared as the goddess of war and destruction, she also represents the transformative power of kundalini energy, or sekhem, and is the main goddess to harness this power for healing. As “She Who Comes in Times of Chaos,” she takes offerings of fear, rage, and weakness and transforms them into alchemical gold, the universal medicine for physical, emotional, and soul healing. 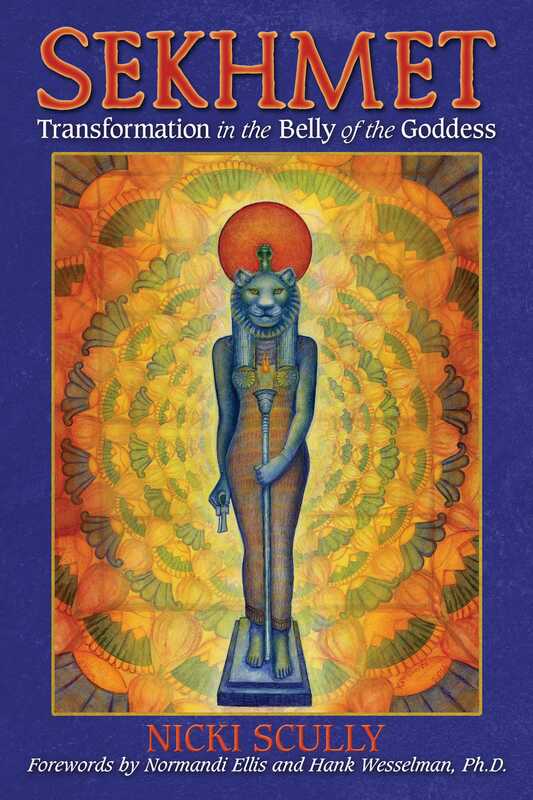 In this book you are guided through a shamanic ritual of alchemical transformation and initiation with Sekhmet, working with this powerful goddess to release your most deeply rooted negative behavior patterns and be reborn into a more purified state of consciousness. Using intensive self-examination exercises to help you prepare to meet the goddess, the author leads you through a guided visualization, illustrated with photographs, to an ancient statue of Sekhmet in her chapel at the Temple of Karnak. There, you will be shamanistically devoured by the goddess, directly experiencing the alchemical process of transformation in the belly of Sekhmet until you are rebirthed as a fully realized adult child of the goddess. You will experience how your offering of pain, fear, rage, and self-sabotage is digested, absorbed, and assimilated by Sekhmet while you are initiated into the alchemy of total transformation. The initiations, rites of passage, and transmissions from Sekhmet included in the journey restructure the most important aspects of your body, mind, spirit, and soul. This journey of shamanic death, illumination, and rebirth in the belly of Sekhmet provides an opportunity to heal on all levels and allows you to release your rage, anger, and fear as you transform the energies that maintained them into creative and constructive solutions that benefit yourself, your community, and the planet. Fear is one of our greatest teachers. From the time we have our first childhood lesson of keeping our hands off the hot stove to our mature ability to recognize danger and get out of the way, fear has earned our respect and has tremendous influence over our behavior. But sometimes fear holds us back because it is at the root of many of our most deepseated issues, those that keep us from locating the main blockages to our personal energy and power. As you exhale, express the breath through your entire body and let a new level of alertness and clarity enter every cell of your being. As you exhale and the radiance of your heart flame grows, look outside the circle of light that surrounds you like a halo. Look into that place of darkness that inevitably surrounds us all. As you put your attention beyond the comforting glow of light, you will see the eyes of Sekhmet gleaming in the darkness. On your next exhale, send your heart breath to Sekhmet as you ask her to join you and help you deal with the fears that inhabit your being. As you connect with Sekhmet, she stands before you in her goddess form, a woman’s body with a lioness head surmounted with a uraeus crown holding the sun disc. For now, Sekhmet has come to help you work through your fears. As you continue to feel her power coursing through your being, she morphs into her beautiful lioness form, nudging you to become a lioness with her. . . . She is going to take you on a journey into the savanna. Feel yourself begin to transfigure into a lioness. You can feel your breath, your body, and your muscles change. Feel your whiskers grow and begin to sense how they communicate information to you. . . .Stretch into the fullness of your lioness being and follow Sekhmet, feeling the grace and strength with which the two of you are running across the savanna. . . . When there are no more fears showing up, you and Sekhmet walk side by side enjoying the sun in the aftermath of the hunt. She has shown you how to hunt and how to face your fears. Be sure to express your gratitude to Sekhmet. Thank yourself for having the courage to face your fears and offer prayers for others that you know and the world in general to be able to live free of fear. When you feel complete, take a deep Earth breath pulling up the Earth energy to ground you into your body. Slowly open your eyes.